Question of the Week: Do you color your hair? If so, do you do it yourself or do you get it professionally colored? If you do it yourself, what are some of your favorite brands? Answer: I always do it myself, the Superdrug own range of semi-permanents are my favorite, but I tend to go one or two shades lighter than the result I want. I use their “light brown” shade which gives me a nice ashy, not-too-dark brown result. My Beauty Bunny – On a diet? No worries! Get your chocolate fix from the new Too Faced Chocolate Bar palette! With a mix of highly-pigmented colors in both matte and shimmer finishes it’s my new fave palette! Nouveau Cheap – It’s been a while since a drugstore blush has truly rocked my world, but this one is so amazing that I almost want to keep it to myself (but of course I won’t). Pink Sith – Pantone’s color of the year is a hard to define fuchsia-purple-lavender hybrid. Whatever it is, it’s called Radiant Orchid and you have so many choices for beauty and accessories! Prime Beauty – Can’t think of a better combination than hot chocolate and makeup and that’s exactly what Too Faced has done in their Haute Chocolate Collection. See which confection you like best! Phyrra – shares the best from NARS Spring 2014 and the Final Cut Collections. we heart this – our favorite 13 products of 2013 range in price from $3.99 to $415. 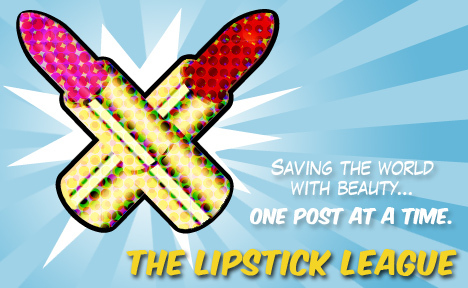 We are equal opportunity beauty junkies! EauMG – The results are in! Announcing the winners of Perfume Pals of EauMG Best of 2013! Thank you to everyone that voted. Gouldylox Reviews – Wondering if the foundation from Allure’s Blogger of the Year, MaskCara is worthy of the hype? This might work for you, despite not working so well for me. Find out why! Lipglossiping – gets up close and personal with Clinique’s new 16 Shades of Beige Collection… but is it as dull as it sounds?! Guest Post of the Week, as chosen by My Beauty Bunny – I love reading and supporting fellow cruelty-free beauty blogs and one of my very favorites is Logical Harmony. Founder Tashina recently cleared up an issue I’ve been pondering as well: Are Products Sold in Airports in China Cruelty Free?